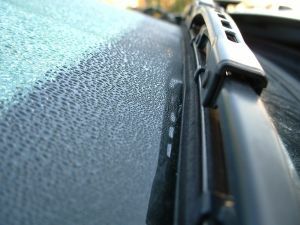 At Millennium 2 Auto Glass, we know from experience how and why your windshield cracks. Find out how to protect your auto glass and avoid the damage to your windshield. - Gravel ricochet. You don’t have to be driving on a gravel-covered road to get a chunk of gravel fly into your windshield. Little stones are everywhere, even on the well-maintained highways. Call it an unlucky coincidence, but there’s really nothing you can do to prevent it. If you do notice excess of gravel or other debris on the road, slow down and keep a safe distance from other cars. - Hail. Although Maryland doesn’t get a lot of hail, it does happen occasionally. And unlike the gravel ricochet, you get more than one hit. Depending on the size of the hail, your windshield might have a chance. If it suddenly starts hailing while you are driving, slow down to lessen the force of impact. - Accidents. This includes both car accidents and such accidents when a kid throws a baseball into your windshield. Being alert and focused is your best bet while driving, but when the car is parked in a public place you don’t have control over what happens. - Rapid, frequent and drastic temperature changes make glass expand and contract. This constant movement may weaken the glass structure and cause cracking. To prevent it, avoid significant temperature differences between the inside and the outside of your car. This includes not blasting heat or AC at max settings when it’s extremely cold or hot outside. - Direct sunlight is bad for cars just as it is for humans. No, it won’t cause internal damage, but it has a potential to cause windshield cracks. A windshield has a black ceramic frit around its perimeter to protect the seal that holds the glass in place from UV rays. Because the frit and the seal are both black, they absorb heat and transfer it to the glass. On a very hot day, differences between the temperatures in the center of the windshield, as opposed to its edge, can be significant. The heat by itself is not likely to crack the glass, but it definitely makes it less stable and more prone to cracking at impact. Inspect your windshield frequently, because some chips and cracks can be tiny and hard to notice. It is essential to get the cracks repaired as soon as possible before they expand and present a bigger problem. Thankfully, due to the layered structure of the windshield auto glass, repairs of small chips and cracks can be performed successfully. If you are looking for windshield repair in Maryland, we are happy to help. Give us a call or request a quote from our website.